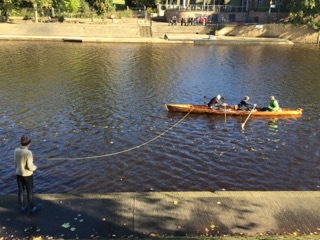 York 50+ Rowing Taster Session. As part of the 2017 York 50+ Festival, on 5th October YCRC held a special rowing taster session for those looking for a new way to keep active and meet new people. Participants toured out boathouse, and were put through their paces on the ergs before taking to the water in Shambles for an introduction to rowing. The session was of course rounded off by coffee and cakes in the bar – unsuprisingly we may have found a few new members! Thanks to Chris Polack and Hilary Howe for organising.